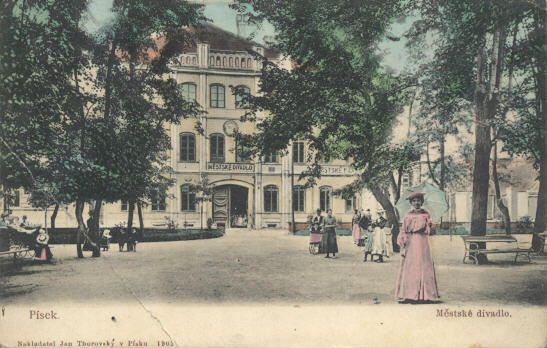 Built 1868 as "Mestské divadlo" (municipal theatre). 1937 major rebuilding. 1991 renamed in honour of the Czech author, Frána Srámek (1877-1952). 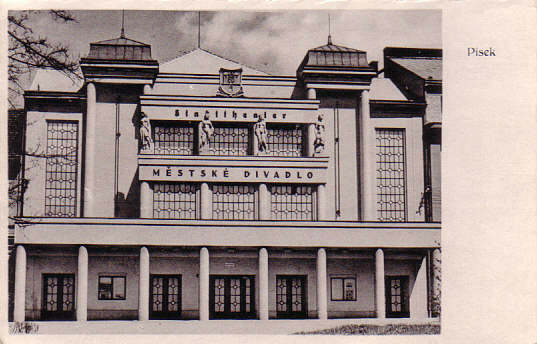 Front Text: "Písek - Mestské divadlo", inscription: "Mestské divadlo"
Reverse Text: "Písek", inscriptions: "Stadttheater", "Mestské divadlo"